I think its safe to say that my whole life I never knew who I was, so when I looked in the mirror all I saw was someone that was lost, and didn’t have an identity because I didn’t have any idea who I looked like or who I was. This had some lifelong affects for me. Now that I’m 37 years old, and I have completed my search and found my biological family I can tell you who I see when I look in the mirror. My birth father. We have some major similarities. When I see myself he is who I see. Everyday when I look in the mirror I think of him. Crazy how that works! Now that my biological father has rejected me, it makes me sad to know that my own blood wants nothing to do with me. I don’t know if that’s something that I will just “Get over”. But one thing I can rejoice on is now I know who I look like. I got to meet my biological father face to face two times. Some people go a lifetime never knowing, and never seeing the faces of those who created them. I don’t know what I would do if I never completed my puzzle. I know how I felt all those years not knowing, and now that I know who I am I feel at peace with that area. I’m so beyond thankful that God has made it all possible. 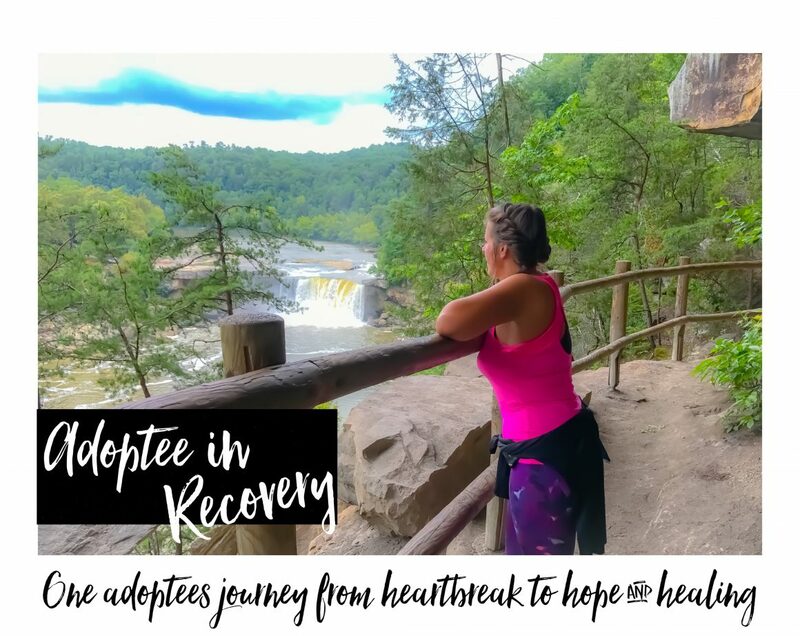 Now being able to talk about my feelings with being an adoptee I find it a healing tool and I feel like I have to share my adoption journey with others. God put these things in our lives for a reason, and we must share our experiences because I feel that’s what God intends for us all. Of all the things I have been through, I am now learning that being given away at birth has had the most lifelong effects on me than anything else. When I started the healing process, I started working on feelings that went along with childhood sexual abuse brought on by a step brother. Then it went into being in abusive relationships my whole life, until I was 31.. Then I started working on my adoption and the issues I have had with being adopted. In the last 6-8 months I have been working on the root of some emotional issues I have carried around an entire lifetime, and I can honestly say I have never felt more FREE than I do today. Who gets the credit? God. It’s as simple as that. He has given me the strength and courage to conquer each thing one by one. God has put certain people in my life to help me realize my true worth as well. Some situations harder than others, but each and every one I have learned so much from. So now when I look in the mirror I know who I see. I love the person I am, and I know that no matter what happens in my life that my past is just that, my past. God doesn’t judge us by our past, so why should we judge ourselves or worry about what others think of us? Categories adoptee, adoption anger, adoption search, adoption secrets, biological family, birthmother, blog, healing, who am i?